The second part of this year's Sustainability in Soft Drinks management briefing looks at the comparison between recycling rates in the US and Europe, and examines the voluntary actions companies are taking to boost these rates. While there is a significant amount of corporate activity around recycling in the US, campaigners believe formalised 'Extended Producer Responsibility' laws, such as those seen in many European countries, are required to drive the improvement required. Long before climate change, food security and sustainability became the prevalent concerns they are today, what consumers did with their packaging after use was a troubling issue for soft drinks companies. Cans and bottles emblazoned with brand names and logos serve as wonderful ambassadors when being enjoyed by happy consumers or by a movie star in the latest blockbuster, but when they lie discarded in the street, quite the reverse is true. It is no surprise, then, that Coca-Cola and PepsiCo were founder members of the Keep America Beautiful campaign and major beverage companies remain staunch supporters of such schemes the world over. Today, with the vital role recycling has to play in making the mass marketing of consumer goods environmentally sustainable, the "post-consumer" phase in the packaging lifecycle is even more of an issue. And, once again, soft drinks companies are to a degree at the mercy of their consumers. On a practical level, companies have set themselves targets for the use of recycled PET in their packaging and that supply must be fed by consumer recycling. 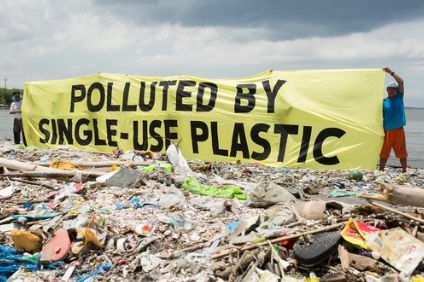 Furthermore, there is a parallel between the negative associations brands have to endure from littering and the current challenges around sustainable packaging and recycling. In spite of whatever companies may do in terms of producing sustainable bottles, just as with littering, if they are not recycled and end up in landfill, that reflects badly on the companies. As the originators of the packaging, they are held ultimately accountable for their existence. This is reflected in the Extended Producer Responsibility (EPR) regulation, which exists in many countries. Soft drinks companies have a strong interest in engaging actively in the battle to raise recycling rates, and it is no surprise that initiatives to raise consumer recycling rates feature prominently in their sustainability strategies. Of particular concern is the disparity in recycling rates between the US and Europe. The most recent published data from the US Environmental Protection Agency on recycling rates is from 2012. It shows that the overall recycling rate was 35% and the packaging recycling rate was in the region of 51%. This is not just lower than European countries, but arguably of a different order altogether. Corresponding data from Eurostat shows a packaging recycling rate in Belgium of 80%, the highest rate in Europe, followed by Ireland (74%), Germany (71%), Czech Republic (70%) and the Netherlands (69%). A report published earlier this year by US environmental campaign groups As You Sow and the Natural Resources Defense Council, entitled Waste and Opportunity 2015, attributes the low rates in the US to a number of factors, including the lack of funding for municipal curbside programmes. "Recyclers have been unable to substantially increase recycling of materials in high demand, such as PET plastic, primarily due to lack of funding to expand curbside programmes and modernise recovery facilities in many communities, weak materials markets and the lack of a strong recycling policy framework in many states and municipalities," the report states. It is no surprise, therefore, to find that boosting curbside programmes is a "key focus" for Coca-Cola in its work on recycling. "Our strategy includes a few different approaches that are complementary," a Coca-Cola spokesperson tells just-drinks. "One key focus is our work with industry to build out infrastructure and expand best practices of curbside recycling." In particular, the spokesperson cites Coca-Cola's involvement in the Recycling Partnership (TRP), Walmart's Closed Loop Fund (CLF) and work with the American Beverage Association (ABA). Coca-Cola is the lead sponsor in The Recycling Partnership, a private-public partnership to accelerate growth in curbside recycling, centred on education and recycle cart deployment. Municipalities can apply for grants to help them grow their curbside recycling programmes through best practices. A further element in Coca-Cola's strategy is to boost access to recycling bins in public spaces through a programme of grants. "We have placed more than 240,000 bins through various programmes since 2008," the spokesperson adds. The company has also teamed up with Keep America Beautiful in its 'Recycling Bin Grant Program' through which it donated almost 4,000 recycle bins to colleges and universities, NGOs and communities across the US last year. That brought the total number of bins provided by the Coca-Cola-sponsored programme to more than 39,000 since its launch. Coca-Cola describes the Closed Loop Fund, launched by Walmart last year in partnership with eight of its largest suppliers, as "innovative and groundbreaking". The US$100m fund will provide loans to municipalities and other organisations to increase consumer access to recycling facilities. Around 25% of the US population still lacks access to curbside recycling, and another 25% has access but lacks adequate collection bins, according to the Waste and Opportunity 2015 report. PepsiCo also cites its involvement in the Closed Loop Fund as an important part of its mission to encourage recycling in the US, adding that the fund will provide "innovative ideas to reach the goal of providing 100% of US households with access to recycling where and when they need it". The emphasis that company initiatives are placing on supporting municipal schemes underlines the lack of funding currently available for such schemes in the US, particularly in comparison with many countries in Europe. The Waste and Opportunity 2015 report also identifies the Closed Loop Fund as an important intervention industry has made regarding recycling, but sees the introduction of formalised Extended Producer Responsibility (EPR) legislation as critical if significant improvement in recycling rates is to be achieved in the US. "The Closed Loop Fund is a welcome step forward in strengthening US recycling infrastructure," the report states, "but it needs to be recognised as just the beginning of a multi-strategy solution by brands and other stakeholders that will be necessary to increase recycling rates, including the implementation of producer responsibility legislation." It adds that the interventions currently being undertaken so far in the US by different stakeholders represents a "patchwork", with programmes not implemented widely or uniformly enough to impact on national recovery rates. A fragmented approach to recycling hampers progress even in countries where an EPR approach has informed legislation. Joe Franses, director of corporate responsibility & sustainability at Coca-Cola Enterprises, says European countries with the most uniformed and regionally consistent recycling infrastructures have the highest recycling rates, citing the comparison between Belgium and the UK as illustration. 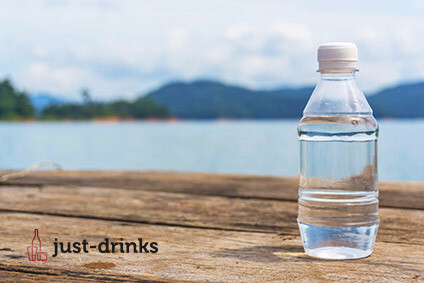 In the US, only one major beverage producer, Nestle Waters North America, has supported the introduction of EPR. Also, the Waste and Opportunity 2015 report states that none of the soft drinks companies contacted in researching the report offered "scalable alternatives to EPR that could significantly increase packaging recycling rates", suggesting that "it is still not a high priority on their sustainability agenda". The report's authors take the fact that soft drinks companies are contributing loan capital to the Closed Loop Fund as an indication of "an incremental advance", which in itself shows that they "are acknowledging that they bear some responsibility for improving packaging recycling". Another way in which companies are hoping to play a constructive role in increasing recycling rates, in the US and in other markets, is through commissioning research. PepsiCo co-sponsored a six-month study conducted by Keep America Beautiful last year to help define best practices for a recycling programme aimed at fostering improved recycling behaviour in the workplace and increasing of quality and quantity of materials collected. The results provide a number of "common-sense approaches that can be broadly applied in most workplace environments", PepsiCo states. In the UK, Coca-Cola Enterprises commissioned research into household recycling from the University of Exeter in 2013, the results of which were published last year in a report entitled Unpacking the Household: exploring the dynamics of household recycling. The involvement of soft drinks companies in sustainability research is discussed in the following section of this briefing.